Rutherford Aston the fifth. FIVE ASTON. FIVE. FIVE. FIVE. FIVE. FIVE. 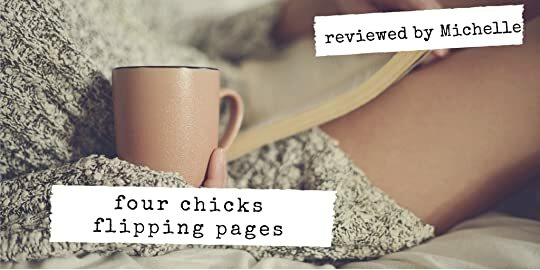 Yes, big bold shouty caps are needed because Julie Huss finally delivered everyone’s much anticipated story of Five and his bombshell princess, Rory Shrike. And boy oh boy did she deliver!!! 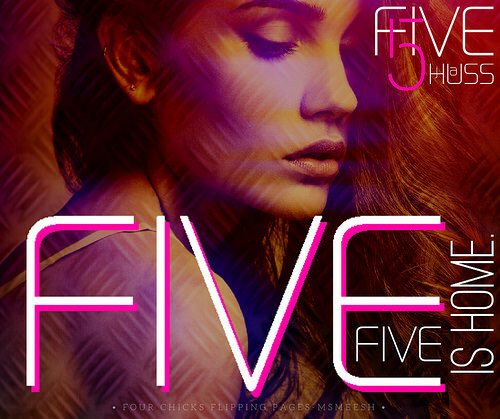 FIVE was simply perfection. This book was everything you craved, wanted, needed, and begged of Julie. She treated her readers to an epic love story of two soul-mates who were just fated for one another. They didn’t need to have their worlds to collide. They were just born and destined to be together. Their love was timeless and endless like the stars. And how could it not be, it’s Five and Rory. If you have been following the series, you are all aware of the history of Five and Rory. They were more than childhood and family friends. They were two badass individuals with their own talents and smarts. 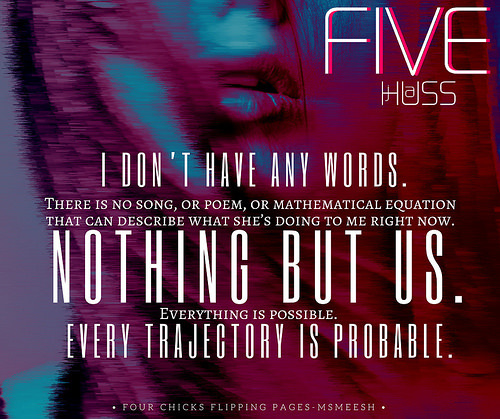 But we all know, Five is on another whole level of genius. So in this book, Julie introduces readers to the backstory on the relationship status of Five and Rory. It is there in Part One of the book, where readers understand the dynamics and tangible bond that these two individuals have for each other. No amount of time and separation could deny their attractions and feelings for each other. Since lots of things occurs in Part One that dictates what will happen in Part Two of the storyline, I will stop myself from spoiling anything further. But what I can tell you, Julie once again proves to us that she indeed a storyteller, who has mastered in keeping her readers on the edge of their seats. Every detail is important. Every character plays a role. And most importantly, it’s a Huss book so everything is unpredictable hence why all her books are always engaging and lovable. If you are a huge JA Huss fan like myself, then you will be so happy to know that characters from the past WILL make an appearance. So all you Oliver fans, you will be pleased to know he plays a significant role in the book. With that being said, I was very intrigued with Kate’s character. She surprised me how much I liked her character presence in the story line. As for Five and Rory, I love them so much. Their love was fierce as much as their personality. Individually, these two were strong but together they were stronger as ever. So if you are looking for a epic love story that has everything. I mean everything from raw emotions, suspense and REAL SOUL MATE KIND OF LOVE then I highly recommend you to read this book. Julie will have you smiling like a fool and be totally smitten with Rory’s feisty personality and Five’s protective nature.